On request, we also produce our plants for biological wastewater treatment in EnviModul design. We then build the plant components for the pre-treatment of wastewater and the individual cleaning stages for aftertreatment in high-performance modules with integrated safety technology, and air conditioning as required. An on-site laboratory, a plant control module and/or a common room can also be integrated into the EnviModul Biomar® plants. 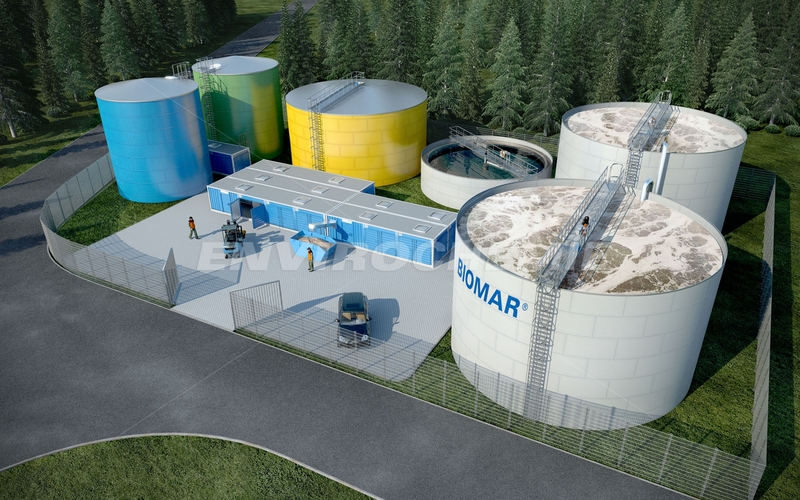 The modular design of the wastewater treatment plant has the advantage that additional modules can be added at any time. The customer does not have to provide buildings.